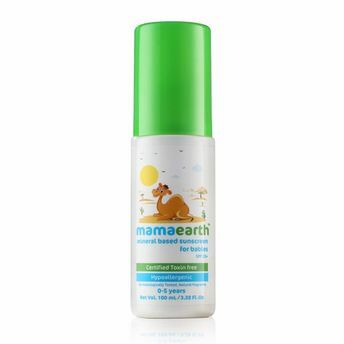 Let your baby explore the big wide world because Mamaearth's sunscreen is here to take care of their skin. It contains SPF 20+, to be non irritant and ideal for baby's sensitive skin. This non greasy, non allergenic sunscreen can be used anywhere on the body where sun is going to shine. Explore the entire range of Creams, Lotions & Oils available on Nykaa. Shop more Mamaearth products here.You can browse through the complete world of Mamaearth Creams, Lotions & Oils .